What do Buddhism an ecology have to say to one another? This book is the result of the conference ecological responsibility A dialogue with Buddhism which was held in New Delhi to explore this question. The essays collected here interpret this focus on dialogue by asking questions about mutual reciprocity: how can Buddhist teaching and practice enable people to work towards healing the environment and how at the same time is the global environment crisis shaping and redefining people’s understanding of Buddhism. The contributors to the volume are H.H. Dalai Lama. Ramachandra Gandhi Radha Burnier Samdhong Rinpoche H.H. Kyabgon Sakhya Trizin Noritoshi Aramaki H.E. Neville Kanakaratne Robert A.F. Thurman Ven Kamburupitive Ariyasena Kamla chowdry jose A. Lutxenberger: Allan Hunt Badiner: Sunderlal Bahuguna: Ramachandra Guha: Lily de Silva: Henryk Skolimowski Chatsumarn Kabil singh Julia Martin Ravindra Vama Stanistav Menshikov John B. laylor Christopher Titmuss. Until the Chinese occupation of Tibet we Tibetans lived in close harmony with our environment. This was no doubt due partly to the need to survive in the harsh climate and fragile environment found at high altitudes and partly to the far reaching influence of Buddhist culture. Tibetans value the precious Earth because it is the basis of all life. It is the direct source of food, Shelter and livelihood. Consequently we have always been careful of how we behave towards the earth and its natural resources. Rather than trying to natural conditions. Not driven by greed or a constant urge for respect for the natural limits of the fruits of the land. The life of a nomad is lonely but peaceful. It is a model of harmony with the environment. The land and their animals give nomads everything they need a diet of cheese, meat, milk, and yoghurt clothes of Sheepskin boots of yak leather and tents of yak hair. Home is wherever they find good pasture. As a boy studying Buddhism I was taught the importance of a caring attitude toward the environment. Our practice of nonviolence applies not just to human beings but to all sentient beings any living thing that has a mind where there is a mind there are feelings such as pain, pleasure, and joy. No sentient being wants pain all want happiness instead. I believe that all sentient beings share these feelings at some basic level. In Buddhist practice we get so used to this idea of nonviolence and the ending of all suffering that we become accustomed to not harming or destroying anything indiscriminately. Although we do not believe that trees or flowers have minds we treat them with respect. Thus we share a sense of universal responsibility for both mankind and nature. Tibetans are naturally a happy and well adjusted people because the Buddhist attitude is one contentment. There may be some connection here with our attitude towards the environment. We do not consume indiscriminately. We have always considered ourselves as part of the environment. Our ancient scriptures speak of the container and the contained. The world is the container and we are the contents. From this we can deduce a special relationship between the environment and its inhabitants. As Buddhists the most important thing is in our mind here and now and the way we use that mind n daily life. If we can create our own positive mind it will bring deep satisfaction. If we eliminate our negative mind we can dispel those thoughts that bring uneasiness and discomfort. In the context of ecology it is not that certain thoughts are holier than other but whether or not they are useful for humanity and the health of our planet. I am not interested in converting other people to Buddhism but in how we Buddhists can contribute to human society according to our own ideas. According to Buddhist teaching there is a very close interdependence between the natural environment and the sentient beings living in it. We share the earth not only with our fellow human beings but with all the other creatures that live on the land in the sea or in the air. Life is as dear to each of them as it is to us. Like us they not only wish to be happy but they have a right to achieve happiness and overcome suffering. Consequently we are careful not to behave in ways that might unnecessarily interface with other beings way of life. Both science and the teachings of the Buddha tell us of the fundamental unity of all things. As Buddhists we are accustomed to reflecting on the kindness of all beings thinking of their having been as kind as our mother not only in this life but many times before. So naturally just as the Buddha’s advice goes help other if you can but at least don’t harm them we have a responsibility not only to protect them and avoid actions that hurt them but also to avoid destroying their habitats. Resolving the environmental crisis is not just a question of ethics but a question of our won survival. The natural environment is very important not only for those of us alive now but also for future generations. If we exploit is in extreme ways even though we may get money or other benefits form it now in the long run we ourselves and future generations will suffer. When the environment changes climatic conditions also change. When they change dramatically the economy and many other things change as well. Even out physical health can be greatly affected. Now in order to succeed in the protection and conservation of the natural environment, it is important first of all to bring about an internal balance within human beings themselves. These days we are very much involved in the external world while we neglect the internal world. We do need scientific development and material development in order to survive and to increase the general benefit and prosperity but equally we need mental peace. From my own limited experience I have found that the greatest degree of inner tranquility comes from the development of love and compassion. True commitment founded on reason. Ultimately humanity is one and this small planet is our only home. If we are truly to help one another and protect this home of ours each of only this feeling that can remove the self centered motives that cause people to deceive and misuse one another. The abuse of the environment which has resulted in such harm to the human community has arisen out of ignorance of the environment’s importance. It think it is essential to help people to understand this. We need to teach people that the environment has a direct bearing on our own benefit. The reflection of Buddhists and ecologists on our relations to the environment contained in this book are very valuable we need such dialogues to develop a fresh perspective especially one that leads to practical action. These days not only individuals but governments as well are seeking a new ecological order. But unless we all work together no solution will be found. Mother earth is giving us a lesson in universal responsibility she is telling us to cooperate. I am very hopeful that because of the lessons we have begun to learn the nest century will be friendlier more harmonious and less harmful. Still I believe that every individual has a responsibility to help guide our global family in the right direction. Good wishes alone are not enough we each have to assume responsibility. It is up to each of us tot make the best use of our time to help create a happier world. What do Buddhism and ecology have to say to one another? This book is the result of a recent conference which met in New Delhi to explore this question. It was Gandhi’s birthday a day of national celebration and a reminder of how spiritual practice may work together, with social activism for justice and peace. In the morning people form 22 countries had gathered to witness the consecration of a golden statue of the earth touching Buddha and its presentation to the people of India by His Holiness the Dalai Lama on behalf of the Tibetan Community. In the afternoon when the solemn, joyful, beautiful ritual was complete we went on to the opening of an international conference ecological responsibility a dialogue with Buddhism the presentations collected here interpret this focus on dialogue by asking questions about mutual reciprocity how can Buddhist teaching and practice enable people to work towards healing the environment and how at the same time is the global environmental crisis shaping and redefining people’s understanding of Buddhism. In raising these questions we who have contributed to this book enter the growing conversation around the world between the theory and practice of ecology and the theory and practice of spiritual traditions including Buddhism. Listening and learning real dialogue inevitably changes our languages as well as our understanding. So you’ll notice in reading this collection that people are beginning to use words in new ways. For example someone may use an environmental understanding of a term like pollution to explain a state of body mind or describe and environmental situation using a Buddhist concept of defilement. This transformation of the language is probably the main common feature of the contributions to this book. Another feature is diversity although situating the conference in New Delhi meant that our discussions share to some extent local priorities and terms of reference there is clearly no single ecology no Buddhism and no eco-Buddhism that says it all. Having recognized this one can identify recurrent concerns and enough similarity to group of texts loosely under two main categories. Part one deals largely with analyses of our eco social spiritual predicament and part two offers proposals for what to do about it. The contributors come from North and South from the so called developed and developing worlds from cities and rural areas fro religious orders and lay practice from theoretical study and grassroots activism from different spiritual traditions and political affiliations. Arising within diverse social ecological economic and cultural environments our view of the present crisis is inevitably shaped by these environments. A Buddhist term from this is pratityasmamutpada dependent co origination all phenomena arise interdependently there is no self that can be extracted form the environment in which it takes shape. Many people have recognized the useful correspondence between this realization and ecosystems thinking which describes living systems as patterns of interconnectedness. This aspect of Buddhist teaching also enables us to see that there can be no single vantage points for eco Buddhism people see different ecologies different Buddha’s arising form different situations. This approach which liberates us from the tyranny of the one truth is also at home in ecological work. Here people may speak of bioregional truth or situated knowledge to describe a point of view which is true to a particular place and time but does not claim universal or absolute status. This perspective on truth is being adopted by many people as a creative way of resisting the imperialist arrogance which treats other people and other ecosystems as resources to be exploited. For similar reasons ecologists affirm diversity as a basic principle although it may bring profit to a few monoculture depletes the land and is ultimately unsustainable. Living systems require diversity for long term well being and so this collection suggest does eco Buddhism. Having said this one can generalize and oversimplify somewhat in order to identify areas of common focus and consensus. I have called part one of the collection Desire and Development in a suffering world and part two compassionate Engagement. There is a clear sense from all the contributors that we are living in a time of unprecedented environmental distress. Many identify this as a crisis of environment and development. They recognize that recent decades of development have at a global level made most people in the world poorer and degraded the environment to a point which now threatens the lives threatens the lives of all beings. If we accept this analysis we find ourselves involved in a critique of first world style development and the ideological systems which sustain it. For Buddhists this is quite significant. It means learning to have dialogue with a language of politics and economics and so extending our understanding of traditional Buddhist categories. At the same time Buddhist perspectives can extend the range of contemporary environment development theory. As Buddhists and ecologists learn form one another our analysis of the problems which concern us begins to change. We might begin to describe our situation like this. The earth is being exploited the earth is suffering all beings are sufferings although unequally. The very tendencies which cause our suffering are being fuelled in the name of modernity and development more things to consume more profit for me more things more profit this clinging and craving can never be satisfied. A Buddhist approach enables us to recognize the ways in which modern technological civilization works to promote this kind of attachment to I and mine concealing our living connections with the sangha of all beings turning the world into a place of profiteers and resources. What can we do about it? 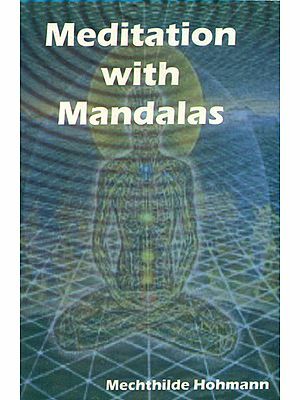 This book suggests that the spiritual community can offer practical liberation as well analysis of the problem. In general begins the rediscovering our interconnections with living systems begins rediscovering out interconnections with living systems an understanding which liberates us form the illusory paranoid world of self and other. The Buddhist realization of pratityasamutpada emptiness interbeing brings dimensions of consciousness and mind to the ecologists picture of the interrelations of organism and environment. It also gives an image of the universe as a jeweled network of commitment to relieve suffering are discovered and made real in practice. The contributors interpret H.H. the Dalai Lama’s call to universal responsibility differently but it is clear that the tradition has valuable experience to offer in developing practices of meditation and mindfulness, compassion, non-violence, and living lightly on the Earth. The crucial test for dialogue between Buddhists and ecologists is surely to be deter mined by the extent to which we make use of this experience in finding out how to work together in this late twentieth century world. We are, as His Holiness has said, “a pivotal generation." Amongst the formal presentations collected here, you’ll also find shorter statements from other conference participants. Situated” on the margins' these voices are often appreciative, but they also probe and question: Why so few women speakers? Why so few activists? How much energy has this conference consumed? What are the practical implications and these ideas? What follow• up is planned for these discussions? One suggestion was taken up immediately. A participant suggested the conference create an Ecology Wall, a large sheet of paper on which everyone noted their commitment to taking some simple actions towards ecological responsibility. With regard to global initiatives, the concluding Appeal for Commitment which all the conference participants supported is also a significant statement of intent. In editing this material I have had to make some careful decisions. Many of the contributors are not firs t-language speakers of English, and so it was necessary to do some reworking of expression in order for the text to conform to the "standard English" expectations of an international readership. At the same time, it’s important that readers are still able to hear the personal, local voice of the speaker, and it can happen that changing a sentence means unintentionally changing the argument. Then there are decisions regarding the form in which the argument is presented. Although some papers are more formal and “written", many are clearly the record of oral presentations. To edit such apiece into a different sort of text might well destroy its spirit, and so I’ve avoided doing so. For example, one of the fascinating aspects of Sunderlal Bahuguna's presentation is its use of oral features repetition, song, mnemonic devices, numbered lists, etc. The effect is to demonstrate through the structure of the presentation itself how ecological messages are transmitted to rural communities. With regard to terminology, the main problem areas had to do with the use of "man” and "nature." Following the conventions of most contemporary publications sensitive to issues of gender, I’ve deleted all references to a generic ”man," substituting" people," ”humanity," etc. ; ”he” becomes "he or she" and so on. It seems significant that this was necessary at all, given the ample critique of unexamined sexism in Buddhist tradition that is now available in the West. A similar bias appears to be reflected in the fact that only four of the conference contributors are women. As for "nature”, it’s a term which can be confusing in writing about ecology. Sometimes it is used to refer to a realm of trees and animals that is separate from human culture, and sometimes it means the whole biosphere. And yet there are often good reasons for retaining the term. In the end, although ”nature" is a word that should be used with care, I have only in a few cases substituted it with another word. On the technical note, non English terms are generally italicized, unless they can be considered to have become part of English usage. Bearing in mind the likely audiences for this collection, nine Sanskrit words are treated here as English words, and therefore not italicized. These words are: bodhisattva, Buddha, Dharma, karma, Mandala, nirvana, sutra, tantra, vajra and yogi. In conclusion: acknowledgement and many thanks. Many contributors expressed gratitude to H.H. the Dalai Lama for his wonderful example of compassionate leadership in this field, to Lama Doboom Tulku and the staff of Tibet House for their cheerful commitment to the work, of organizing the Delhi conference, and to the sponsors who made our participation possible. My editorial work has throughout been patiently and creatively supported by Tibet House, and particularly by Lama Doboom Tulku and Mr. Tsering Wangyal, and I am grateful to them and to all the contributors. We have made every effort to consult with everyone concerned at every stage of the process, and to track down the sources of all textual references. Please accept any errors or omissions in good faith. Several friends have given valuable help in my work on the book, and as always, I am grateful to my husband Michael Cope who has been a well-spring of encouragement and good ideas throughout the project. Finally, gratitude to all the others who enable us to do this work at all: gratitude to paper, trees and earth, to air and aero planes, to fuel and food and agricultural workers, to rain, sea and printing ink all out teachers all our mothers. May we use this book to work for their well being.